You are currently browsing the category archive for the ‘karl, rove, obama,biden,sarah,palin,mccain,john,michelle,o’reilly,politics,white,house,democrats,republican,ron,paul,teen,mothers,barack,barrack’ category. 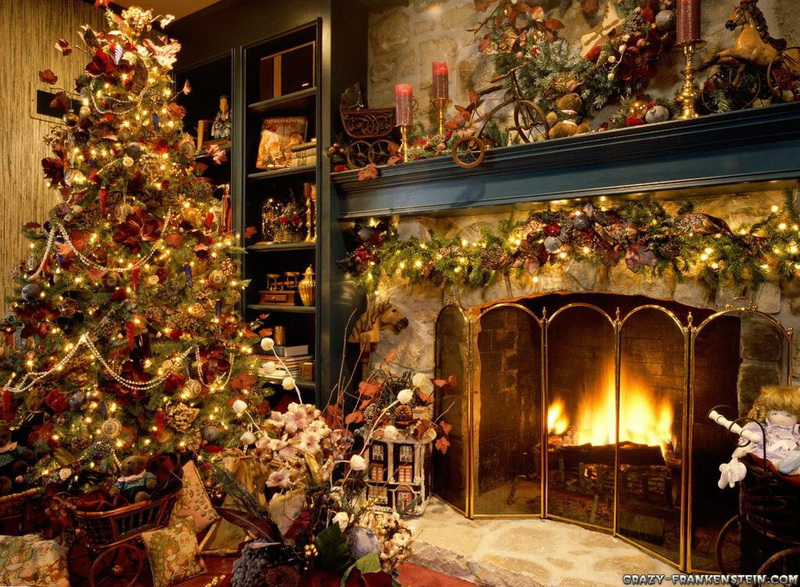 Merry Christmas: From Out Foxing Karl Rove !! Best wishes and happy holidays to all !! Do you see the election results as a repudiation of your politics? Our new president-elect won one and a half points more than George W. Bush won in 2004, and he did so, in great respect, by adopting the methods of the Bush campaign and conducting a vast army of persuasion to identify and get out the vote. But what about your great dream of creating a permanent Republican governing majority in Washington? I never said permanent. Durable. Do you think John McCain attacked too much or not enough? Dissecting the campaign that way is not helpful. Have you met Barack Obama? Yes, I know him. He was a member of the Senate while I was at the White House and we shared a mutual friend, Ken Mehlman, his law-school classmate. When Obama came to the White House, we would talk about our mutual friend. Did you have lunch together? Talk in the hall? We sat in the meeting room and chatted before the meeting. He had a habit of showing up early, which is a good courtesy. Are you going to send him a little note congratulating him? Do you have any advice for him? You already criticized Rahm Emanuel, Obama’s new chief of staff, as a sharply partisan choice. I raised a question as to whether this would be the best use of Rahm Emanuel’s talents. If you’re trying to work through a big legislative priority, it is sort of hard if you have a guy who has a reputation as a tough, hard, take-no-prisoners, head-in-your-face, scream-and-shout, send-them-a-dead-fish partisan. What about you? You were always seen as very partisan. I wasn’t the chief of staff. And you’d be surprised by the Democrats I actually met, got to know and worked with. I think he has an odd combination of longevity and long-windedness that passes for wisdom in Washington. Do you regret anything that happened in the White House during your tenure? You’ve been booed off stages recently. No, I haven’t. I’ve been booed on stages. I’m a little bit tougher than to walk off a stage because someone says something ugly. Do you think the era of negative politics is over? Do you see yourself as being associated with it in any way? He said he lacked the spine of a man and the character of a woman. Negative politics have always been around. Do you think you’re negative? You’ve never repudiated President Bush. No. And I never will. He did the right things. What about Iraq and the economy? Do you have any advice for him at this point? With all due respect, I don’t need you to transmit what I want to say to my friend of 35 years. Remember, attack politics are out. It’s a new age of civilized discourse. You’re the one who hurt my feelings by saying you didn’t trust me. Yes, you did. I’ve got it on tape. I’m going to transcribe this and send it to you. WASHINGTON — When a Congressional committee subpoenaed Harry S. Truman in 1953, nearly a year after he left office, he made a startling claim: Even though he was no longer president, the Constitution still empowered him to block subpoenas. “If the doctrine of separation of powers and the independence of the presidency is to have any validity at all, it must be equally applicable to a president after his term of office has expired,” Truman wrote to the committee. Congress backed down, establishing a precedent suggesting that former presidents wield lingering powers to keep matters from their administration secret. Now, as Congressional Democrats prepare to move forward with investigations of the Bush administration, they wonder whether that claim may be invoked again. “The Bush administration overstepped in its exertion of executive privilege, and may very well try to continue to shield information from the American people after it leaves office,” said Senator Sheldon Whitehouse, Democrat of Rhode Island, who sits on two committees, Judiciary and Intelligence, that are examining aspects of Mr. Bush’s policies. Topics of open investigations include the harsh interrogation of detainees, the prosecution of former Gov. Don Siegelman of Alabama, secret legal memorandums from the Justice Department’s Office of Legal Counsel and the role of the former White House aides Karl Rove and Harriet E. Miers in the firing of federal prosecutors. It is interesting how Rove is not drawn into Bill O’Reilly’s dog fight with the Democrat leadership. And more he directs the Republicans to have a look at what their party stands for – and how best to convey that message. Which I am pretty sure, he is also clear on – that this is how they were beaten in this election. Now who’s the elitist !! Not only does Karl almost get arrested – by a concerned citizen – he gets slapped down by a fellow convention panelist when he tries to preach about acceptable behavior in a campaign. I betcha he could tell he wasn’t on Fox News!! You could add – that 4 years ago stations like Fox News had significantly more power to influence the way not only voters thought but also what other news agencies eventually reported. It is actually a natural progression for Karl Rove to move over to Fox News as he has done. Because that was a tried and tested talking piece for the campaign(s) he ran. But this campaign is different – in 2000 the few sites promoting Gore – and the Democrats – has exploded – into a landscape of support for Obama and against the Rovian/Swift boat type tactics. So influential – the blogosphere has become – that Fox News was putting the idea out that Obama should try and control the Leftwing/or more supporting blogs – and in true Fox style they went even further to suggest – that if Obama couldn’t control the blogs – then how could he control the country. I think that was then being kind – as they had organized – through negotiation – the O’Reilly interview. And of their promise to offer more inclusive (and dear say somewhat fairer) coverage of his campaign. The blogosphere seems disparate – there is one site and one over there – but together it is having an effect – on any media outlet. Four years ago maybe the Sean Hannitys would have gotten their own way – but not this year – it’s the information age ~ baby! We drill for facts! McCain is running a textbook Rovian race: fear-based, smear-based, anything goes. But it isn’t working. 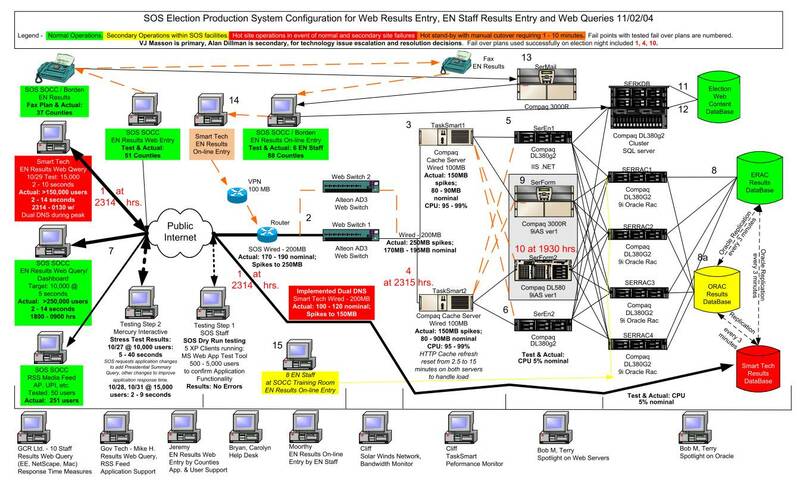 The glitch in the well-oiled machine? The Internet. “We are witnessing the end of Rovian politics,” Eric Schmidt, CEO of Google told me. And YouTube, which Google bought in 2006 for $1.65 billion, is one of the causes of its demise. Thanks to YouTube — and blogging and instant fact-checking and viral emails — it is getting harder and harder to get away with repeating brazen lies without paying a price, or to run under-the-radar smear campaigns without being exposed. But the McCain campaign hasn’t gotten the message, hence the blizzard of racist, alarmist, xenophobic, innuendo-laden accusations being splattered at Obama. And it seems that the worse McCain is doing in the polls, the more his team is relying on the same gutter tactics. So over the next 15 days, look for the McCain campaign to become even uglier. That’s what happens when following Rovian politics is your only strategy — and Rovian politics isn’t working. Just last week he brought on Warren Tompkins in an “unofficial” capacity to see how receptive North Carolina would be to some Rovian slime. After all, it’s right next door to South Carolina, where in 2000 Tomkins and his buddies in the Bush campaign spread race-baiting rumors about McCain having an illegitimate black daughter (referring to McCain’s adopted Bangladeshi daughter Bridget). And those disgraceful robo-calls that McCain is running? 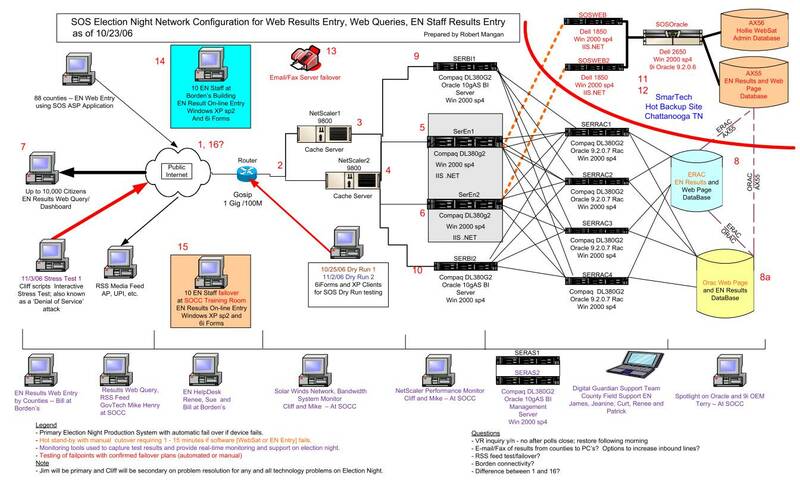 They were done with the help of Jeff Larson and his firm FLS-Connect — the same firm that created the robo-calls smearing McCain in 2000. And, did you hear, Obama is also… black! And he wants to give your money to all the poor black people! McCain didn’t come right out and say that, but it’s surely what he insinuated in his radio address this weekend: “Barack Obama’s tax plan would convert the IRS into a giant welfare agency.” Somewhere, Karl Rove is smiling, Richard Nixon’s southern strategy is waxing nostalgic, and John McCain’s missing moral compass is getting steamed about John Lewis’ evocation of the civil rights struggle. But there is a diamond amidst all this dung: the lack of traction this Rovian politics is getting. It’s as if Rove and his political arsonists keep lighting fires, only to see them doused by the powerful information spray the Internet has made possible. Compare that to the way over 6 million viewers (on YouTube alone) were able to watch the entirety of Obama’s 37-minute speech on race — or the thousands of other videos posted by the campaign and its supporters. Back in the Dark Ages of 2004, when YouTube (and HuffPost, for that matter) didn’t exist, a campaign could tell a brazen lie, and the media might call them on it. But if they kept repeating the lie again and again and again, the media would eventually let it go (see the Swiftboating of John Kerry). Traditional media like moving on to the next shiny thing. But bloggers love revisiting a story. So when Palin kept repeating her bridge to nowhere lie, bloggers kept calling her on it. Andrew Sullivan, for one, has made a cottage industry of calling Palin on her lies. And eventually, the truth filtered up and cost McCain credibility with his true base: journalists. There are many other anti-Rove Republicans abandoning their party. …because they can’t stand what Bush, Rove and now McCain and Palin have done to their party. As a result, the McCain campaign’s insinuation-laden “Who is Barack Obama?” was rendered more comical than spooky. Who is Barack Obama? The guy we’ve been watching over and over and over during the last two years. We’ve seen him. We know him. And we can remind ourselves about him with a quick Google search and a mouse click. Obama “has shown the same untroubled self-confidence day after day,” and “over the past two years, Obama has clearly worn well with voters.” Those are the words of David Brooks, who has gotten to know Obama just like the rest of us. Four years ago, McCain’s Rovian race-based appeals to our darker demons might have worked. This year, they are blowing up in McCain’s face. And in the face of the entire GOP. Colin Powell’s endorsement of Obama as “a transformational figure” was powerful. But even more powerful was his withering indictment of the state of the Republican Party and the cancer of Rovian politics. There are many other anti-Rove Republicans abandoning their party. I’ve had several Republican friends tell me privately what Powell and Buckley told the world publicly: that they’re voting for Obama. Most of them not because they like Obama, but because they can’t stand what Bush, Rove and now McCain and Palin have done to their party. 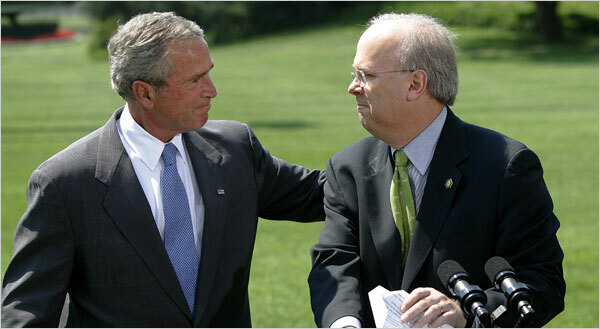 Karl Rove and President Bush in a moment of emotion in August 2007 after Mr. Rove announced that he was leaving the post of White House political adviser to Mr. Bush. The boy who would be obsessed with the facts – while most of us would have been satisfied that we had blocks as a child – Karl Rove would have counted his — and moved to sorting them out into colors and levels of importance. WASHINGTON — Karl Rove has inspired a generation of Republican imitators, Democratic vilifiers and, in this election, a term that has reached full-on political buzzword status: “Rovian.”As in, this presidential campaign has been rife with “Rovian tactics” in recent days. This essentially means aggressive tactics — or dirty, in the view of Democrats, who use the term often, and not lovingly.“John McCain has gone Karl Rovian,” Senator Joseph R. Biden Jr. said at a recent campaign stop, a variation on a standard stump line from Senator Barack Obama’s running mate. Karl Rove, of course, is the revered and reviled Republican maestro who has become ubiquitous in his new career as a commentator, columnist and conversation-starter. He left the Bush administration 13 months ago, yet continues to loom over a campaign that has become the backdrop for his post-White House reinvention. With Senator Barack Obama, in January 2005, when Mr. Obama and other newly elected members of Congress attended a reception in their honor in the East Room of the White House. On Fox News after Tuesday’s presidential debate, Mr. Rove said Gov. Sarah Palin had done a “very good job” of bringing up Mr. Obama’s past associations to the 1960s-era radical William Ayers, a guilt-by-association tactic that many Democrats decried, naturally, as “Rovian.” Last weekend, Mr. Rove said on his Web site, Rove.com, that Mr. Obama, based on a compilation of recent polling, would win 273 electoral votes — enough to defeat Senator John McCain if the election were held then. While polls had shown the momentum swinging to Mr. Obama, to hear the so-called architect of the Bush presidency saying so was deemed a watershed development among political insiders. “His name seems as pervasive now as it ever was,” Dan Bartlett, the former senior counselor to President Bush, said of Mr. Rove. Indeed he does — even though the patron with whom Mr. Rove will always be tied, Mr. Bush, owns some of the lowest presidential-approval ratings ever; even though the “Republican realignment” Mr. Rove once envisioned seems a far-off fantasy. But Mr. Rove’s lingering impact, perceived power and even his bogyman status continue to place him in great demand, forming the basis of his lucrative post-White House career as a reported seven-figure author, six-figure television commentator and mid-five-figure speaker. 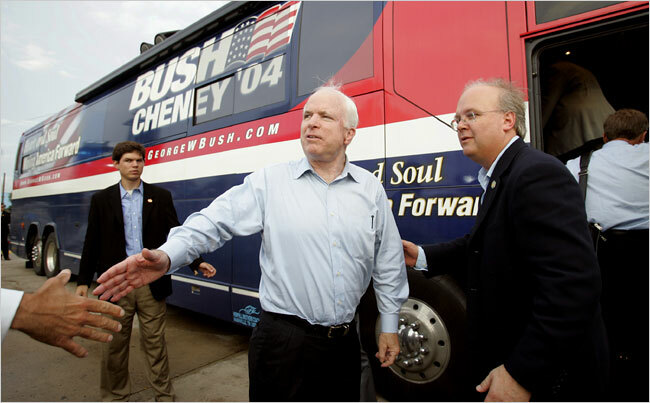 Mr. Rove with Senator John McCain, a bitter Bush rival in the 2000 campaign for the Republican presidential nomination who went on to campaign for the Bush-Cheney ticket in 2004. He was in Philadelphia on Monday for a “debate” with former Senator Max Cleland, the Georgia Democrat who lost an arm and two legs in Vietnam. Mr. Cleland lost his 2002 re-election bid after his Republican opponent, Saxby Chambliss, questioned his commitment to domestic security, running an advertisement featuring likenesses of Osama bin Laden and Saddam Hussein. Many Democrats remain bitter over that defeat, for which Mr. Cleland still largely blames Mr. Rove. It can pay to be the devil himself, or at least thought of that way. “There is an incredible amount of interest in what Karl Rove has to say,” said Howard Wolfson, an adviser to Senator Hillary Rodham Clinton’s presidential campaign, who appears with Mr. Rove on Fox News. Mr. Wolfson said he was amazed by how often Democrats asked him what Mr. Rove was like off the air. “When I say he’s nice, people look at me like I’m nuts,” he said. Two top McCain campaign aides, Steve Schmidt and Nicolle Wallace, worked closely with Mr. Rove in the White House and are commonly referred to as “Rove protégés,” a designation that both dispute. Mr. McCain’s top advisers shudder at the perception that Mr. Rove is calling shots for their campaign — in part because his reputation is toxic among many swing voters, and perhaps the best-known victim of “Rovian” hardball tactics was Mr. McCain himself in the 2000 Republican primary campaign. 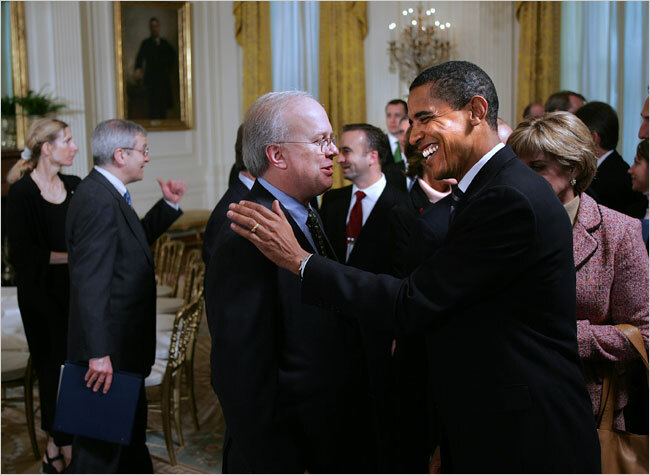 Shortly after Mr. Rove left the Bush administration, the Washington lawyer Robert B. Barnett negotiated contracts for Mr. Rove — as a paid speaker, as an author, as a Fox News commentator and as a columnist for Newsweek and The Wall Street Journal. Rove.com provides listings of Mr. Rove’s television appearances and columns, an outlet for Mr. Rove to respond to attacks against him in the news media and a place in which he links to articles about himself. “Karl tends to follow what is being said about him, somewhat obsessively I think,” said Scott McClellan, a former White House spokesman under Mr. Bush. Likewise, Mr. Rove’s public words are closely scoured for hidden meaning. He recently said on Fox News that Mr. McCain’s campaign should be doing more to connect Mr. Obama to the former executives of the fallen lending giants Fannie Mae and Freddie Mac. The next day, Mr. McCain’s campaign released an advertisement doing just that. “Is John McCain’s campaign taking political directives on how to handle the economic crisis from Karl Rove?” asked the columnist Sam Stein, writing for The Huffington Post. Over the summer, the McCain campaign embarked on the classic Rovian strategy of taking an opponent’s perceived strength — in the case of Mr. Obama, his international popularity and ability to draw big crowds — and tried to turn it into a liability, likening Mr. Obama to Britney Spears and Paris Hilton. “Karl Rove might not be the architect anymore, but he certainly left a set of blueprints in the room,” said Donna Brazile, the Democratic strategist and a friend of Mr. Rove, conveying a mixture of suspicion and admiration.